Yesterday the Guardian published a story called: ‘I took secret photos of my abortion to empower and educate women’. 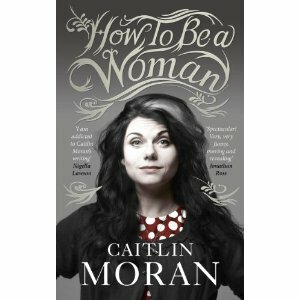 Sensibly, the woman who wrote it remained anonymous – because these are dangerous times for women and our bodies. Every day I read deeply disturbing stories about the invasion of women’s reproductive organs by the state and by men. I use the scientific term ‘reproductive organs’ deliberately. Because I think such terms allow legislators – and all those outsiders who think they have a say in what happens to women’s bodies – to abstract our wombs from our breathing flesh, from the fabric of our lives, from our stories. Our wombs are not terra nullius. They are not blank tracts for others to write their laws upon. Every womb on this earth is enfolded in a girl or woman with her own unique life and story – and the decisions we make for our wombs must be governed by our lives and our stories alone. Not by the abstractions of ‘God’, ‘State’ or any other lawmaking entity. Anonymous opens her story: ‘Recently, I had an abortion, which I documented with a hidden mobile phone camera and then shared the images on the internet.’ She published her experience on thisismyabortion.com to show what a safe abortion looks like, to ‘help dispel the fear, the lies and hysteria around abortion, and empower women to make educated decisions for their bodies’. She was partly motivated by the fact that her mother nearly died from an illegal abortion some 30 years ago. Then spent the remaining months of her recovery ‘in silence in a country where she would have been banished, if not killed, for her actions’. When Anonymous went to have her own abortion, she wasn’t sure which was more harmful: the anti-abortion protesters who threatened her outside or the procedure itself. But once she’d gone through the bulletproof (!) doors to the clinic, she found a sanctuary. Counselled, educated and physically readied, I let go of my anxieties in this safe place. The procedure itself, albeit uncomfortable, was straightforward and passed with ease. I too have had an abortion. It was equally uncomplicated. And I salute Anonymous for deciding to photograph her abortion and show it to the world. Like Anonymous, I think it’s time we told the secret histories of our wombs. Write them and the full spectrum of their stories – menses, abortions, miscarriages, births – into the culture. So that no-one ever again mistakenly believes that wombs are uncharted entities ripe for government by external forces. In 2006 Zoe Williams wrote about her equally straightforward abortion in a Guardian piece called ‘Time to speak up’ on the 39th anniversary of the legalisation of abortion in the UK. There she wonders why nobody ever talks about abortion. Because, she suggests, it’s ‘considered a given, an unarguable tenet of modern society, that you would feel ashamed of having a termination, that you would, in some cutesy, feminine, inarticulate way, feel “bad” about it.’ And yet she doesn’t feel bad. Nor does Moran. Neither do I. 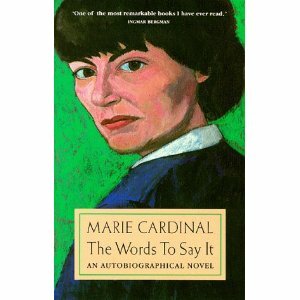 The first time I ever read a story about a womb was The Words to Say It by Marie Cardinal, an autobiographical novel about wombs and blood, madness, mothers and mother lands. And the power of words. It blew my mind. I’d never read anything like it. Her pathological bleeding. Her cure. 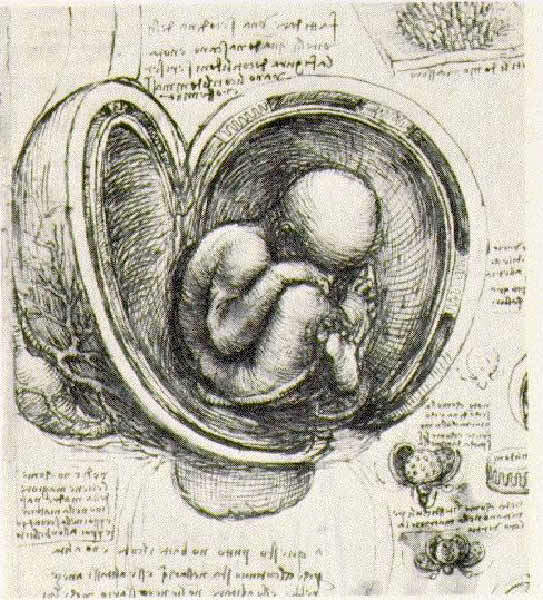 No-one who has experienced the labouring womb could ever again consider the ‘feminine principle’ as passive, receptive. The power of the womb is to the phallus as the ocean is to the shore. Its power is life giving and life taking. Every month of women’s generative lives our wombs prepare for new life. Every month that potential is either fertilised or destroyed. The waxing and waning of life happens daily in our bodies. Life and death are our domain. Is that why religions and states are so keen to control us and our wombs? You won’t be surprised to hear that Anonymous lives in the United States. As Sharon Smith puts it in the latest Overland, the US is currently experiencing a ‘misogyny emergency’. 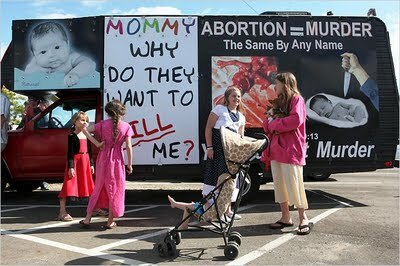 I hope thisismyabortion.com will be used as a tool to bring a fair, honest, balanced view of safe abortion. We, together, can take a stand for the truth, women’s rights and reproductive justice. Her hope is my hope. Thanks, Jane. And my hope, also. Our hopes are shared, Clare. I think you’ve said something really important here. If I had to have an abortion, I would not feel ashamed of it either. I’ve always thought that, and always been scared to articulte it. So thank you for being braver than I have been. Thanks Tara. Shall look forward to the day we don’t consider such conversations ‘brave’. Fabulous piece, Jane. There is also an extraordinary radio documentary about abortion – made by Euridyce Aroney, aired on radio national, well worth tracking down. Thanks so much Georgia – and for mentioning the radio documentary. And thanks Jacinda for the link. Sounds amazing. Thanks Jane GW. You know, I was at a women’s health clinic in Melbourne yesterday that provides abortion and for the 15–20 minutes I was in the reception area, there was a soundscape of tea-making and shared jokes drifting in from the kitchen. It was all so normal – despite the bars on the windows and doors, and the six security cameras behind the receptionist’s desk. Thanks Jack. That’s a lovely story, apart from the SIX security cameras (!!!) and bars. And of course realised after I’d sent off this piece, I should have mentioned your fantastic story about abortion, ‘This Woman I Knew’, published in Meanjin Vol 70, No. 1. It really inspired me. Required reading. Sorry it’s not online, that I can see anyway. But here’s the link to the issue. Great piece Jane, thanks. Nice link to the concept of terra nullius. For men, this is always the unmentionable thing, the site of ungovernable anxiety: that women can potentially grow other human beings inside their own bodies. Thanks Stephen. And yes, I think you’re right about the ‘site of ungovernable anxiety’ (great words too). I think it could pretty much account for all religions and certainly for ‘Alien’! Great point. What is ‘Alien’ about but the monstrosity of birth as seen by men? hah! I hadn’t even gone so far as to think of it in terms of ‘monstrosity’ but you’re so right, Stephen. Think this is a timely reminder of how close women are to the tentacles of misogyny every day: when their private, life decisions such as whether to have children or not, are sought to be controlled by others. Feminism as passe, I think not! Thanks Trish. You are so right – and what a creepily apt expression, ‘the tentacles of misogyny’. There’s def othing passe about feminism. Before science stepped in, it took two to tango. One thing that I have evidenced that drives women crazier than crazy when abortion is an option is when a male partner, upon being asked the question, leaves the decision and all that abortion entails up to the female, thinking he is being magnaminous. What a cop out. What a relief! Thank you so much for saying the things out loud! And thanks Veronica – I’m so glad it’s a relief. I know what you mean! You’re fantastic Jane. I love the way you think about so many things, whether it’s abortion or Wuthering Heights/Jane Eyre. You’re just great. Thank you. Thank you Claire, that is such a lovely thing to say. Made my day. Such a wonderful article Jane – I look forward to reading the stories you’ve mentioned. An excellent and timely story, thank you. These people all speak about wanting to have an abortion. What about the poor woman who wanted her baby and her partner/husband obliged her to have an abortion? For the woman who for whatever reason is still under the thumb of the man who fathered the baby, there is no help, and enduring anguish for giving it up. Thanks Debbie. And love hearing you’ll be reading the stories too. I had an unpressured abortion some years ago. My experience of the clinic being a sanctuary and being adequately counselled was similar. And yet, three days after the abortion, I was bleeding, clotting, vomiting and blind with pain. A scan revealed the abortion was incomplete, and I was obliged to return and have a second attempt at abortion. It was distressing, to say the least and I am extremely lucky to have been able to go on to have children. I am pro-choice, but there are dangers in reporting on abortion as if it were a root canal. Thanks for your story, A. Should stress, my piece is not about abortion being a simple procedure, or ‘as if it were a root canal’. It’s about women’s right to choose it, legally. Sorry, did not mean to be all mysterious Jane – for some reason my name didn’t show up. Also didn’t mean it as a comment on your article, just a general comment. Good to see this issue canvased here. oh hi Maxine! The mysterious A. Again, thank you for your story, you make a really important point. Yes, very good point thanks Yelena. It works both ways. And reminds me of the outrageous recent story about the woman in China forced to have an abortion because the family couldn’t afford to pay a fine for breaking the birth control policies. Overland should stake out the Australian political space on this – I’m willing to bet there’d be enough fiction and non-fiction (poetry even) to do a special issue. Good thought Maxine. Over to the OL editors on that one.